Narrator brought the characters to life! New fan of narrator, Coleen Marlo! She brought the characters to life, or she pulled me into the story -- either way, I enjoyed the experience. I liked the witty banter and playfulness found in the story. I felt like these were characters I'd like to be friends with. I look forward to the next book. There may be people who enjoy reading about being dominated and controlled; I do not. It was difficult to stomach a "hero" with misogynist tendencies; and a seemingly strong, smart woman allow herself to be disrespected. Ex-SEAL Luke Dawson's new mission in life is fighting fires. When he rescues local bad girl Deelie Olsen from a summer blaze, lust isn't supposed to be part of the equation. Nor is love - but something about the frank, tough-as-nails woman has him throwing caution to the wind. 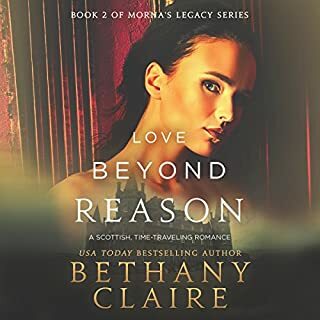 Getting her in bed may be easy, but getting to know her will be a whole lot harder...and the battle for Deelie's heart is one fight he has every intention of winning. Could not listen to narrator. Did not get through first chapter. Awful narration. Read like a juvenile. Did not read through using punctuation as a guide. There were odd pauses that made listening unpleasant. Did not get through first chapter, so can’t comment on story. I was so looking forward to the continuation of the story, but Libby was so whiny and annoying in the 2nd part. She would make poor choices, even though deep down she supposedly knew better. Repeating the same types of mistakes made her appear less than intelligent, and a bit neurotic. Hard to imagine this was appealing or attractive to the hero of the story. The narration was really good. 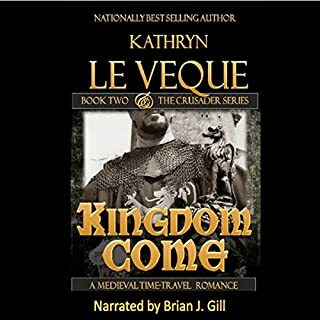 I know in some of Le Veque's books, the narrator will actually sing the song portion in the story. There was a recording/editing error in one chapter where the narrator said something like, &quot;Bloody hell, it's another song. I don't know this song.&quot; That made me laugh. Disappointed! Don't waste you credit! I really enjoyed the Seven Series and was really looking forward to this series. I was so disappointed in the "heroine." I went over a few chapters more than once thinking I missed something. It was confusing to read about her having some great power, but she couldn't protect herself. After awhile I wanted to punch her in the head myself. The story didn't make sense to me. She came across as weak and dim witted. I did not enjoy this book at all. By the end of the book, I was frustrated and annoyed. What a waste of time. Nicole does a great job with all the different characters, except for April's. April sounded sort of like Marilyn Monroe and was annoying. I think narrator was trying to sound naive, but April sounded witless at times. Overall, I enjoyed the story and look forward to finishing the series. Great story and excellent narration! Can't wait for the next book! I'm interested in all the characters. There's drama, humor, intrigue and suspense. I am so looking forward to this series. The narration was fantastic -- each character was different and distinct. Can't say enough good things about this book. It is whispered throughout London that the members of the Wherlocke family are possessed of certain unexplainable gifts. But Lord Ashton Radmoor is skeptical - until he finds an innocent beauty lying drugged and helpless in the bedroom of a brothel. The mystery woman is Penelope Wherlocke, and her special gift of sight is leading her deep into a dangerous world of treachery and betrayal. Ashton knows he should forget her, yet he’s drawn deeper into the vortex of her life, determined to keep her safe. Fabulous !!!! Hope This Series NEVER Ends!!! The hero always sounded bored, sedated, or both. Really enjoyed the story so I stuck with it, but a better narrator would have made it more enjoyable. Characters were interesting and believable! 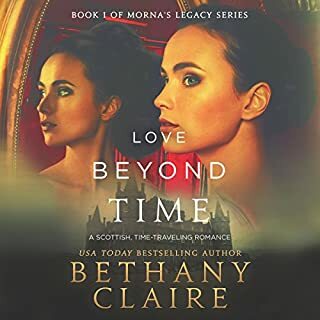 Bethany Claire does a great job giving each character depth (you feel like you know them); and Lily Collingwood did a fantastic job bringing them to life. This audible was reminiscent of the old radio shows --- before there was TV. Kept you engaged and entertained.